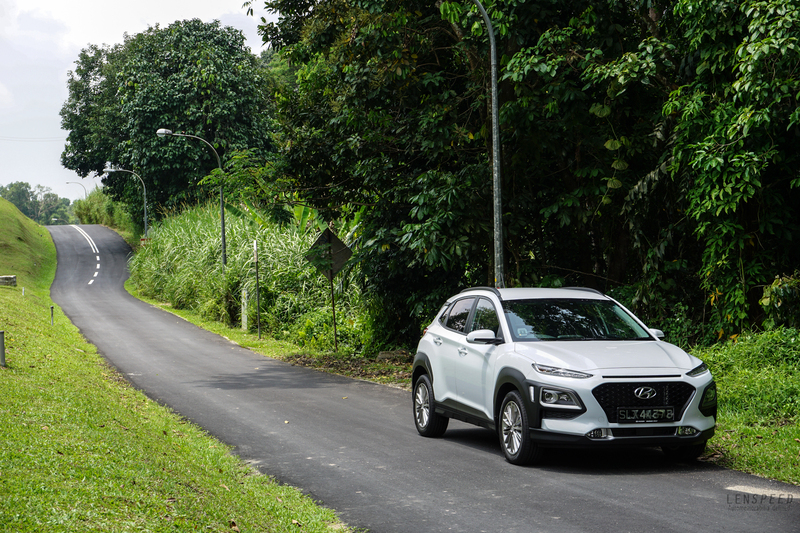 Hyundai has always been strong with their bread and butter SUVs. The Tuscon and Santa Fe have literally become household names with their unflappable dependability and practicality, but they are not particularly exciting to drive. One thing is for certain – these cars have been built very much with the European in mind, and it is no different with the new Kona. Just look at its 5-star Euro NCAP score for a hint. 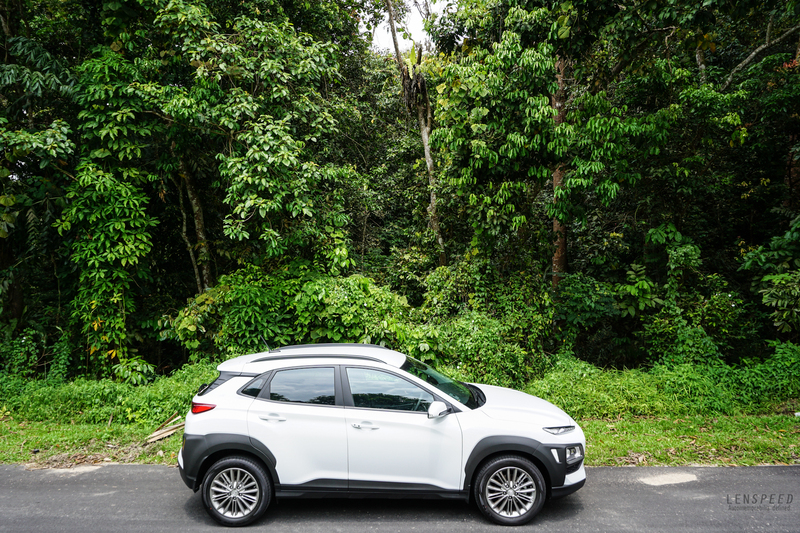 Designed by Luc Donckerwolke of Lamborghini Murcielago fame, the Kona is easily the most striking Hyundai ever. The front is daring and unconventional, with thin-slit LED daytime running lights that look like a predator ready to strike. The large grille hints of a large engine requiring huge air intakes, but what sits beneath is actually a rather humble 1.0-litre 3-cylinder engine. The side profile is dominated by black cladding that gives it a certain toughness, while the rear lights could easily have come from an Audi. 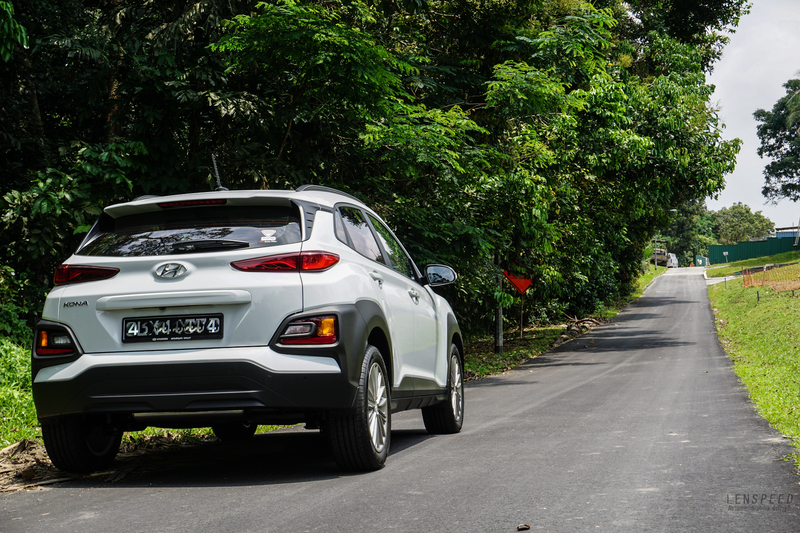 All in, it looks more expensive than it really is, and just by noticing the Xenon lights this car is equipped with, you have an idea just how many optional extras Hyundai has packed into this compact SUV as standard. The Kona is a perfect example of how the Koreans are stretching your every dollar to the fullest. There is an exhaustive list of features, but here are some notable ones: Lane Keep Assist, Apple CarPlay/Android Auto, Blind Spot Assist, auto high beam headlights and a full colour, high-resolution infotainment screen. Cars triple its price don’t even have many of these features standard, if they are at all offered. If you wanted all the technology – especially for elderly drivers who may actually need them – the Kona is the best entry point car available today to enjoy them. Trying Lane Keep Assist on the highway is quite something – it’s probably the closest experience I have of autonomous driving thus far, and the technology is pretty impressive. It works. It’s not just the features that are amazing either. The engine is a sprightly 120hp / 172Nm unit, and like all 3-cylinders it loves to rev. OK, it could get suffocatingly slow below a certain threshold RPM, but manage it like any reasonable driver and it is frankly more power than is needed for Singapore’s roads. It even sounds somewhat sporty at higher revs, although at an easy cruise it can be a tad dieselly. That said, you would expect a brand new first-ever 3-cylinder turbo petrol engine from Hyundai to be a work in progress, but this one felt like it had jumped a couple of development cycles. Enriching the experience further is the manual gearbox. Seriously, forget about the 1.6T engine with the dual-clutch transmission. Why would you get that when you can enjoy a much cheaper purchase price, lower fuel consumption, more fun and almost as many features with the 1.0T version? The manual gearbox is by no means the sharpest tool in the box, but it certainly involves the driver much more than many cars at this price point today. It doesn’t like to be hurried, and the clutch travel is long and slightly numb, but at the same time It is also extremely forgiving, so you won’t really miss your automatic that much. The engine starts up back for you if it stalls, and the brakes hold the car on a slope so you have time to balance the clutch. Fuss free! Drive the car spiritedly and at 7/10ths, it is at its sweet spot. The suspension is soft and so body roll is evident, but it’s not uncomfortable and is actually very well-judged. The steering is pretty lifeless but at least it goes where you want it to go. With a nice little turbo engine and the driver shifting manually (and enjoying it), you could get around with decent pace without feeling like the car is out of its depth. It’s no sports car, but it won’t make you feel bored either. It’s competent and certainly well above the expectations for its price. If there are complaints to be made, it’s the fuel consumption. For a 1.0-litre we never saw better than 11.5km/l on a combined cycle. The car may still be running in, but a similar Volkswagen 1.0-litre could easily sip less fuel even when pushed harder. The packaging of the car is also a little compromised, maybe because of the need to trade off some practicalities for the striking design. 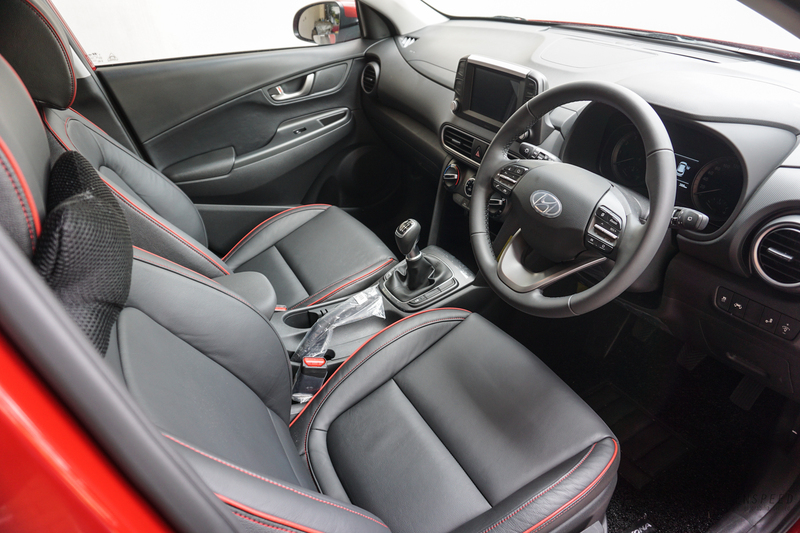 Rear seat space is a bit tight, and on long journeys it could feel claustrophobic. The boot is quite small and only enough for grocery trips or short hops across the causeway. 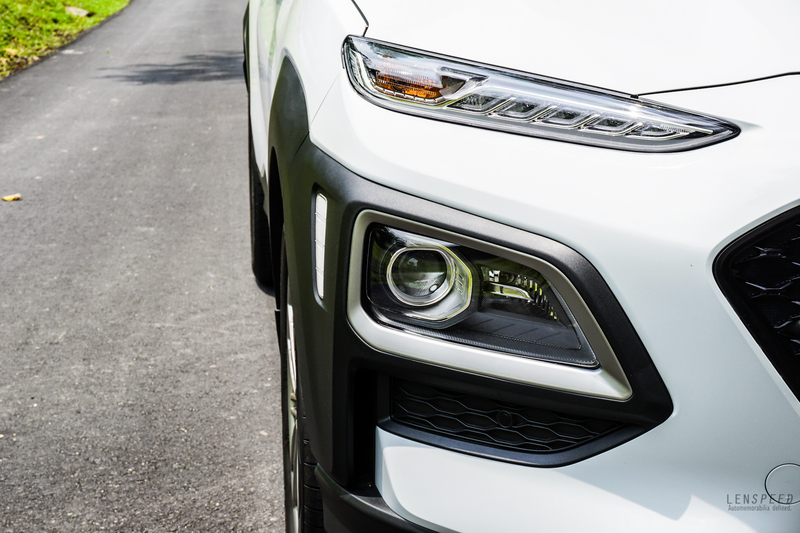 The new car smell peculiar to Hyundai also makes one queasy, and although all the technology works perfectly, the reverse camera could be in higher resolution as well. But honestly? As a first effort, it is an utterly brilliant compact SUV. It’s got character, yet it’s got value. It’s got appeal to enthusiasts, yet it’s practical enough for a family. Maybe best of all, it has given petrolheads on a budget something to look forward to. It’s no wonder that Komoco’s allocation of manual Konas were selling surprisingly quickly – it shows that when people see a good thing they know it, even if it’s a brand new model with no heritage nor track record (and with a manual gearbox). Hats off, Hyundai!